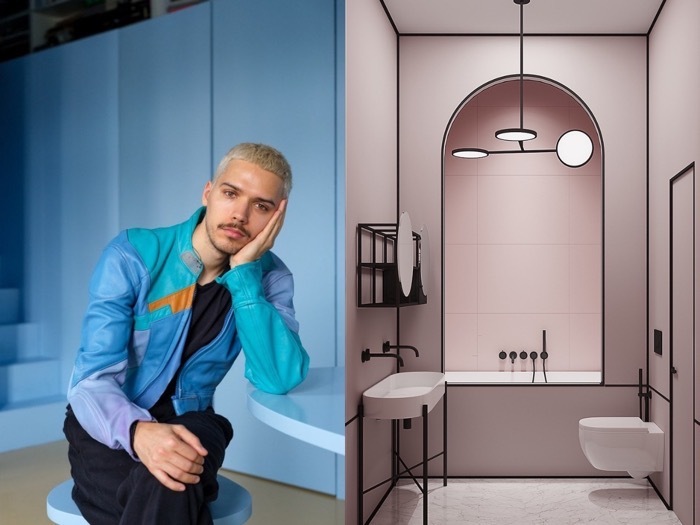 Harry Nuriev & The iconic pink bathroom that went viral. A mere four years ago, Russian artist and architect Harry Nuriev established Crosby Studios – an interdisciplinary design firm. Within this short span of time, the studio’s unprecedented fame awarded them a celebrity-status in the design world. New York Magazine profiled Nuriev as ‘Instagram’s favourite designer’. Crosby Studios’ work is splashed across the biggest magazines, and they’re making headlines at art shows and design exhibits across the globe. So what’s the secret behind the burgeoning success of this Moscow-based firm? Part of the reason is that their designs resonate with current millennial sensibilities. At 34 years, the firm’s founder Harry Nuriev is himself a part of the younger generation. Nuriev’s genius lies in his bold use of monochrome and his minimalist approach. However, it would be unfair to reduce the brand to just that. It is Nuriev’s ability to intuitively pioneer design trends before they explode onto the mainstream that sets him apart. What we find interesting about Nuriev’s creative approach is his complex relationship with colour. From millennial pink to electric blue, each colour that dominates his designs represents a different phase of his life. When he launched his studio he was in what he calls his ‘pink period’, which according to him symbolized his naivety at the time. He later moved on to blue, a colour featured heavily in his own home, along with accents of residual pink. 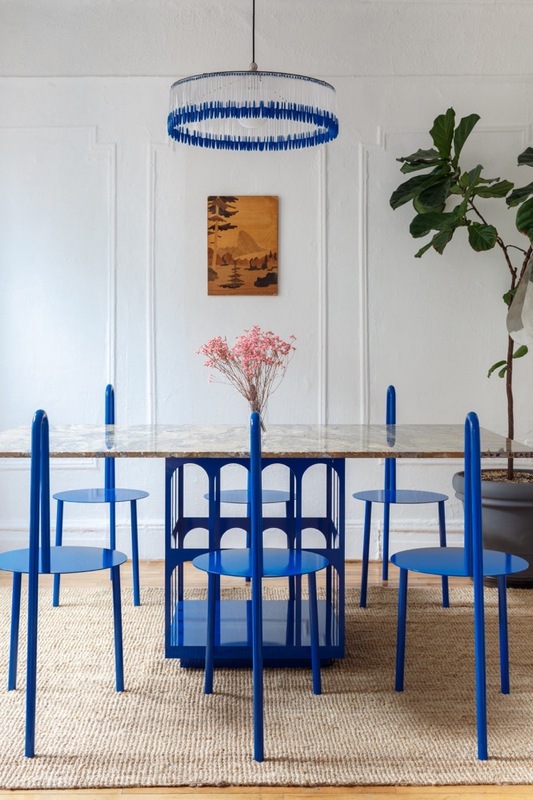 Only two months ago, Crosby Studios launched a limited edition line of interior wares in a vibrant shade of ultraviolet (which also happens to be Pantone’s Colour of the Year for 2018) and their most recent venture suggests the onset of a yellow phase in the designer’s life. The second key identifier of Nuriev’s work lies in his interpretation of minimalism. 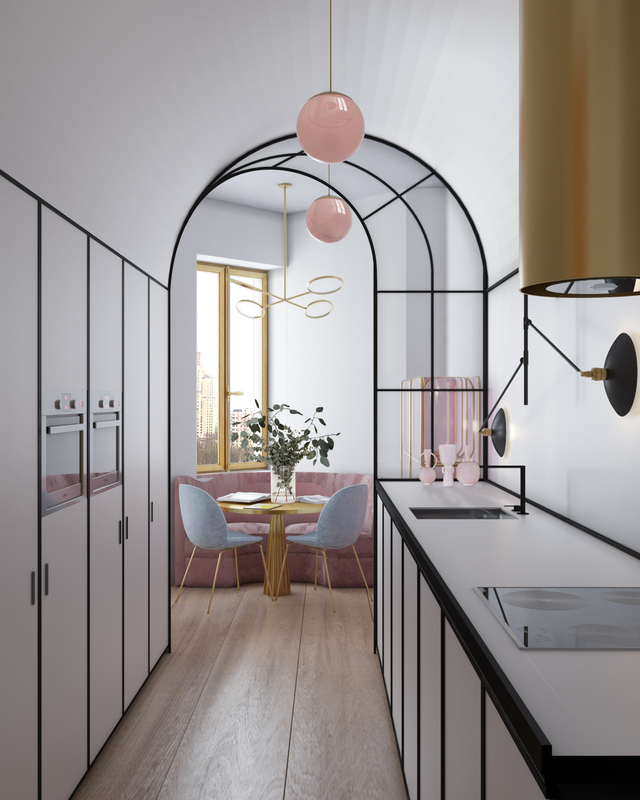 His goal when designing, he says, is to “leave only what’s only useful.” Mia Yoga, one of Nuriev’s most recent projects, exemplifies his brand of clean, refined minimalism. 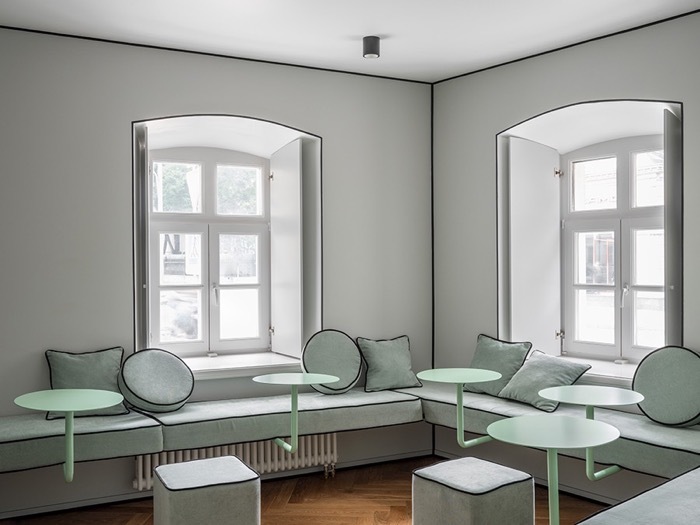 The designer picked a soothing mint green for this yoga studio. Design Pataki – This particular design for a bathroom is amongst Crosby Studios’ most-reposted images. What do you think it is about the space that made it go viral? Harry Nuriev – I think its SMM (Social Media Marketing) bots. I’m kidding. No, I planned this bathroom to be significant. There is some formula inside and my little secret. Also, I love bathrooms it’s my hidden pleasure. Design Pataki – It’s no secret that you infuse your designs with hints of eclecticism. What prompted you to fashion a chandelier out of Bic Pens? Harry Nuriev – It’s a personal story. In the Soviet period when I was in school, I remember all my classmates had the same pens, not because they chose it but because we did not have a choice. It was one model for the whole country. I love this memory. Design Pataki – You’ve previously stated that each colour you work with represents a different phase of your life. What does the bright shade of yellow splashed across Avgvst Jewelry, one of your more recent ventures, represent? Harry Nuriev – Yellow was more about my feeling of this particular space, client and brand. But it’s fun. Yellow is always fun. 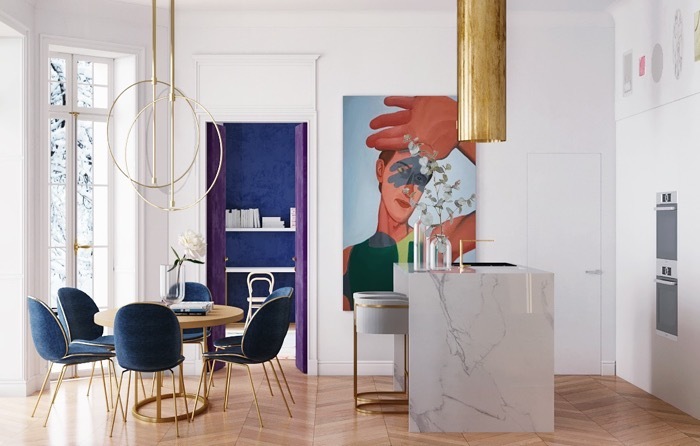 Design Pataki – You were a pioneer of rose gold and millennial pink. What drew you to those colours (before they entered the mainstream)? Harry Nuriev – Everything was black and white and I was pink in gold. I just feel right about the new colours, it’s hard to explain. Design Pataki – How have your travels informed your design sensibilities? Harry Nuriev – I don’t know. I think even too much. I change my mind all the time I see a new point of my inspiration. But it makes me drive design as I do. A chandelier our of Bic pens for his own home. Arches are a recurring feature in Nuriev’s work.